steute recently presented a new member of its modular wireless switchgear system, a radio board for 915 MHz networks. The switching devices using the radio (SW) technology can therefore now also be used in the USA and Canada, where the 868 MHz network commonly used in Europe is not authorised. For machine and plant engineers using wireless switchgear with SW technology this means: now they can export their machines worldwide, only having to distinguish between identical switching devices for 868 MHz or 915 MHz. 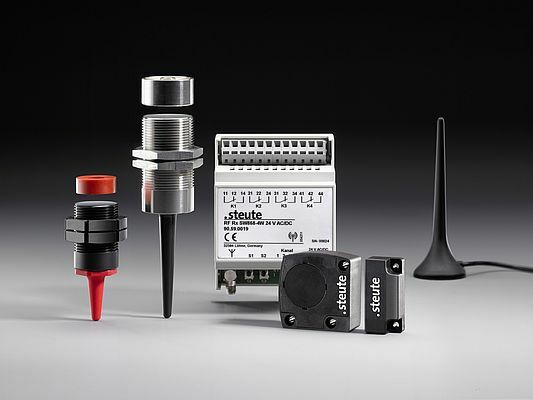 They can choose from the entire range of self-sufficient switchgear provided by the steute business field "Wireless", which work according to the "energy harvesting" principle and generate the energy required to transmit radio signals from the actuation of the switch plunger. This task is assumed by a miniaturised electrodynamic energy generator. Various position switch series, as well as pull-wire and pull switches, work according to this principle. Users can, however, also opt for battery-driven wireless switchgear; here the position switch series RF 10 H is the first to be available with a 915 MHz board. The supplier also provides corresponding single and multi-channel receiver units for the 915 MHz network. Characteristics of the SW protocol include top transmission reliability, a long range of up to 700 m outdoors, and bidirectional communication enabling receipt of confirmation to be sent after each signal - not only with the battery-driven, but also with the self-sufficient wireless devices.